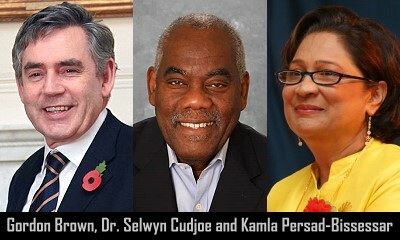 Published on April 30, 2010 in Elections, People's Partnership, Politics and UNC. 31 Comments Tags: candidates, Kamla Persad-Bissessar, Politics. 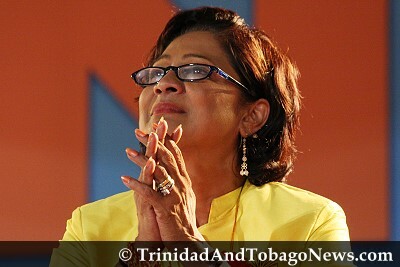 Opposition Leader Kamla Persad-Bissessar today announced the 24 candidates who will fight on the ticket of the United National Congress (UNC) party at the May 24 general election. Published on April 30, 2010 in COP, Elections, Law, NJAC, People's Partnership, PNM, Politics and UNC. 10 Comments Tags: Abuse, Gillian Lucky, Ivor Archie, Judiciary, Justice Anthony Lucky, Justice Herbert Volney, Kamla Persad-Bissessar, Lawyers, Patrick Manning, Politics, T&T Govt. We have no problem with former judges deciding to join political parties, and to run as candidates for these parties. The difference is that a former judge is a citizen like the rest of us. We cannot yet refer to Judge Volney as a “former judge” in this debate. He was still on the Bench when he made his decision, and he clearly must have been in some sort of consultation with the UNC even as he enjoyed the status of a High Court Judge.